Two former healthcare workers who took part in a hospital identity theft scheme are currently negotiating plea deals to avoid trial. They stand accused of accessing and stealing hospital medical records, and using the information to file fraudulent tax returns. Six charges have been filed against Martez Lear, 29 of Farmington Hills, while his partner in crime, Markitta Washington, a former Farmington Hills resident, has also been charged. The crimes were committed between 2011 and 2014. Washington is accused of using here privileges while employed at Detroit’s Henry Ford West Bloomfield and DMC Harper Hospitals to access and steal patient medical records. Patient names, dates of birth, Social Security numbers, financial information and credit card details were viewed and copied and passed to Lear, who used the information to file fraudulent tax returns. The matter was brought to the attention of law enforcement officers and an investigation was conducted by the Southeast Michigan Financial and Cyber Crimes Task Force, the IRS, local law enforcement agencies and the West Bloomfield Police Department. A search of a residence shared by the pair uncovered a large volume of medical records stolen from hospitals, comprising of some 1,400 patient records. The investigation revealed Lear had filed fraudulent tax returns in the names of 305 victims, and had fraudulently obtained $489,000. Most of that money was refunded using pre-paid debit cards, a number of which were recovered from the property. Lear had pleaded not guilty to the six charges originally filed against him; however on Wednesday of this week, he decided to change his plea and accepted a deal with guilty pleas on two counts: Production, use or trafficking in counterfeit access devices, aiding and abetting and aggravated identity theft, aiding and abetting. The plea deal is likely to result in Lear serving up to 57 months in jail for the first charge. 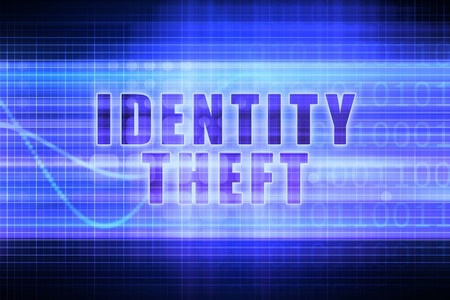 Aggregated identity theft carries a fixed sentence of two years in jail, which will be added to the sentence received for the first charge. Washington is still negotiating a plea deal. She has until September 22 to enter into a deal or the case will proceed to trial.